1. Create a box of old memories and traditions. Include in this box, new traditions that you want to create. 2. Connect with someone you have lost touch with. 3. Be careful about resentments related to past Thanksgiving holidays. Declare an amnesty with whichever family member or friend you are feeling past resentments. Do not feel it is helpful or intimate to tell your relative every resentment on your laundry list of grievances. Don't let your relative do that to you, either. 4. Remind yourself of the festivity of the occasion. 5. Set limits. Try to maintain a balanced diet, eat and drink in moderation. 6. Set up a gratitude box where each family member puts a piece of paper in it to briefly describe what they are thankful for. 7. Decide upon your priorities and stick to them. Organize your time. 8. Do one good thing for someone outside of the family. 9. Do something for someone else. Take the focus off yourself. It always feels good to help others. 10. Be reasonable with your schedule. Do not overbook yourself into a state of exhaustion--this makes Aspies cranky, irritable, and depressed. 11. Be realistic in your expectations. If you haven't got along with your relatives in 15 years, it's not suddenly going to change. 12. Invent new family traditions. This will help decrease longing for missing loved ones. Instead of being sad that grandma is no longer alive to bake her famous German chocolate cake, begin a tradition of baking German chocolate cupcakes with the kids in the family. This creates a new tradition, but honors grandma as well. 13. In the spirit of good will toward others, get involved with a volunteer activity. Check with local churches, food banks, soup kitchens, and youth organizations to see how they can benefit from your knowledge, skills and abilities. 14. If you find yourself feeling blue just remember: The choice is always yours. The sky is partly sunny, and the glass is half full and revel in our gratitude for our bounty, health, hope, and our courage to face each day with hope and determination. 15. If you drink, do not let Thanksgiving become a reason for over-indulging and hangovers. This will exacerbate your depression and anxiety. Contrary to popular opinion, alcohol is a depressant. People with depression shouldn't drink alcohol. 16. If you are feeling lonely, get out and get around people. Consider volunteering for non-profit organizations or visiting a nursing home as a good way to remember the spirit of Thanksgiving. 17. Don't expect Thanksgiving Day to be just as it was when you were a child. It never is. YOU are not the same as when you were a child, and no one else in the family is either. 19. Give yourself a break. Create time for yourself to do the things YOU love and need to do for your physical and mental wellness: aerobic exercise, yoga, massage, spiritual practices, taking long fast walks, or any activity that calms you down and gives you a better perspective on what is important in your life. 20. Surround yourself with supportive people. 21. To put things into perspective, try waking up very early and watch a sunrise with a cup of hot cocoa or coffee. 22. Try to recognize (and put a positive spin on) unrealistic expectations. 23. Write down positives about past holidays. Start a new tradition of a journal with just 2 or 3 happy thoughts every year. 24. Go outdoors and get active. 25. Honor lost loved ones. Lost loved ones does not simply refer to those who have passed, but can also refer to those who are deployed with the military, or live in a different state. Send care packages, video tape activities and events, communicate via Skype. To honor those who have passed, have a special meal or a moment of silence or visit a place the person enjoyed. 26. Pace yourself. Don't take on more activities, make more commitments, or try and do more than you can reasonably handle during Thanksgiving. 27. Pets help me through the holidays. They provide a lifetime of fun, laughs and companionship. Be realistic about the type of pet that’s right for you. Think beyond cats and dogs. Consider hamsters, guinea pigs, and birds. 28. Plan ahead. Set priorities and budgets before Thanksgiving. Plan a calendar for shopping, baking, visiting and other events. Create a "To Do List" if things get overwhelming. 29. Get plenty of rest. 30. Get involved with community service. 31. Volunteer to serve Thanksgiving dinner at a homeless shelter. Work with any number of groups that help underprivileged or hospitalized children at Thanksgiving. There are many, many opportunities for doing community service. No one can be depressed when they are doing community service. 33. Enlist your friends’ help before Thanksgiving. 34. Enjoy those who are around you. 35. Enjoy some free activities. Check with local community and recreation centers, churches and shopping malls for a schedule of free activities. 36. Don't use Thanksgiving as a time for family therapy, whether before, during or shortly after. 37. Don't pretend that feelings of loss are not there if you have them. Say a special prayer, reminisce and continue counseling. 38. If the symptoms of hopelessness and depression last for more than two weeks, or if they worsen, you need to see your doc. Anyone having suicidal thoughts should seek immediate care, either through their own doctor or through the nearest hospital emergency department. 39. Keep the spirit of Thanksgiving alive in your home. 40. Isolation increases feelings of loneliness, hopelessness and helplessness. Maintain your regular work and leisure schedule as much as possible. Accept invitations to spend time with family and friends. 41. Invite family members to your home. Be realistic about the type of event you have. If the thought of a huge family dinner is too much to contemplate, then mix things up a bit. Smaller gatherings with fewer expectations reduce the stress of preparing for a large crowd and gives you something to look forward to. 42. If you are feeling grief or loss, acknowledge them. Recognize and accept that both positive and negative feelings may be experienced during Thanksgiving, and that this is normal. 43. Reach out to past friends and family. Send a card with a hand written note, make a phone call, send an e-mail, or search Facebook. Whatever the reason the relationship has grown apart probably isn’t still relevant or meaningful. Put those long-forgotten reasons aside and rekindle that relationship. 44. Make a list of the losses and the positives that have influenced the year. Deal with the feelings that the list evokes. 45. Make pacts with friends to motivate each other. 46. Minimize the number of negative people (even if these are family members!). 47. Plan unstructured, low-cost fun activities: window-shop and look at the holiday decorations, look at people's Christmas lighting on their homes, take a trip to the countryside, etc.--the opportunities are endless. 48. Reach out and make new friends, especially if you will be alone during Thanksgiving. 49. Remember, no matter what your plans, Thanksgiving does not automatically take away feelings of aloneness, sadness, frustration, anger, and fear. 50. Spend time someone you care about. Accept invitations, give invitations. Don’t allow your negative symptoms to drive your behavior and perhaps drive away friends and family. Winter is coming. The days are growing shorter, colder and darker. This is rather depressing in some ways, wouldn’t you say? Cloudy, cold days run my emotional battery down! Plus, I’m not a big holiday person, so Thanksgiving, Christmas and New Year’s do not inspire me much. I call this the “winter blues.” BUT, I have found some ways to get through these dark days in one piece (and yes, I’m already looking forward to spring). The winter blues is a type of depression that occurs at the same time every year. If you're like many Aspies (i.e., people with Asperger’s or high functioning autism) with the winter blues, your symptoms start in the fall and may continue into the winter months, sapping your energy and making you feel moody. Family history. As with other types of depression, those with the winter blues may be more likely to have blood relatives with the condition. Living far from the equator. The winter blues appears to be more common among Aspies who live far north or south of the equator. This may be due to decreased sunlight during the winter, and longer days during the summer months. Serotonin levels. A drop in serotonin, a brain chemical (neurotransmitter) that affects mood, might play a role in the winter blues. Reduced sunlight can cause a drop in serotonin that may trigger depression. Your biological clock (circadian rhythm). The reduced level of sunlight in fall and winter may disrupt your body's internal clock, which lets you know when you should sleep or be awake. This disruption of your circadian rhythm may lead to feelings of depression. As one man with Aspergers stated: "I have suffered from winter blues for as long as I can remember. I was diagnosed with depression and prescribed venlafaxine around 20 years ago. 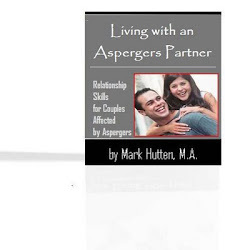 Since then in my late 50s I was diagnosed with Aspergers syndrome. I am an artist and found that the high dose of venlafaxine was restricting my work as my emotions were being surprised. I decided to reduce the dose down to a minimum whilst still enabling myself to function and cope with my life. I do still use alcohol to cope with the boredom and depression." 1. Exercise regularly. Physical exercise helps relieve stress and anxiety, both of which can increase the winter blues symptoms. Being more fit can make you feel better about yourself, too, which can lift your mood. 2. Get outside. Take a long walk, eat lunch at a nearby park, or simply sit on a bench and soak up the sun. Even on cold or cloudy days, outdoor light can help — especially if you spend some time outside within two hours of getting up in the morning. 3. Try light therapy. In light therapy, also called phototherapy, you sit a few feet from a specialized light therapy box so that you're exposed to bright light. Light therapy mimics outdoor light and appears to cause a change in brain chemicals linked to mood. Light therapy is one of the first line treatments for the winter blues. It generally starts working in two to four days and causes few side effects. Research on light therapy is limited, but it appears to be effective for most Aspies in relieving the winter blues symptoms. Before you purchase a light therapy box or consider light therapy, talk to your physician or mental health provider to make sure it's a good idea and to make sure you're getting a high-quality light therapy box. 4. Make your environment sunnier and brighter. Open blinds, trim tree branches that block sunlight or add skylights to your home. Sit closer to bright windows while at home or in the office. 5. Try mind-body therapies. Mind-body therapies that may help relieve depression symptoms include Yoga, Meditation, Massage therapy, Guided imagery, and Acupuncture. 6. Practice stress management. Learn techniques to manage your stress better. Unmanaged stress can lead to depression, overeating, or other unhealthy thoughts and behaviors. 7. Psychotherapy is another option to treat the winter blues. Although the winter blues is thought to be related to brain chemistry, your mood and behavior also can add to symptoms. Psychotherapy can help you identify and change negative thoughts and behaviors that may be making you feel worse. You can also learn healthy ways to cope with the winter blues and manage stress. 8. Several herbal remedies, supplements and mind-body techniques are commonly used to relieve depression symptoms. It's not clear how effective these treatments are for the winter blues, but there are several that may help. Keep in mind, alternative treatments alone may not be enough to relieve your symptoms. Some alternative treatments may not be safe if you have other health conditions or take certain medications. Supplements used to treat depression include Melatonin, Omega-3 fatty acids, SAMe, and St. John's wort. 9. Socialize. When you're feeling down, it can be hard to be social. Make an effort to connect with family and friends you enjoy being around. They can offer support, a shoulder to cry on, or a joke to give you a little boost. 10. Some Aspies with the winter blues benefit from antidepressant treatment, especially if symptoms are severe. Antidepressants commonly used to treat the winter blues include paroxetine (Paxil), sertraline (Zoloft), fluoxetine (Prozac, Sarafem) and venlafaxine (Effexor). An extended-release version of the antidepressant bupropion (Wellbutrin XL) may help prevent depressive episodes in Aspies with a history of the winter blues. Your physician may recommend starting treatment with an antidepressant before your symptoms typically begin each year. He or she may also recommend that you continue to take antidepressant medication beyond the time your symptoms normally go away. Keep in mind that it may take several weeks to notice full benefits from an antidepressant. In addition, you may have to try different medications before you find one that works well for you and has the fewest side effects. Stick to your treatment plan. Take medications as directed, and attend therapy appointments as scheduled. 11. Take a trip. If possible, take winter vacations in sunny, warm locations if you have winter the winter blues or to cooler locations if you have summer the winter blues. 12. Take care of yourself. Get enough rest and take time to relax. Participate in a regular exercise program. Eat regular, healthy meals. Don't turn to alcohol or illegal drugs for relief. If you take steps early on to manage the symptoms of winter blues, you may be able to prevent them from getting worse over time. Some Aspies find it helpful to begin treatment before symptoms would normally start in the fall or winter, and then continue treatment past the time symptoms would normally go away. If you can get control of your symptoms before they get worse, you may be able to head off serious changes in mood, appetite and energy levels.